When the United States, still known as the colonies at that time, it lacked sufficient funds to build a strong navy, and with the coming Revolutionary War, they needed that strength. 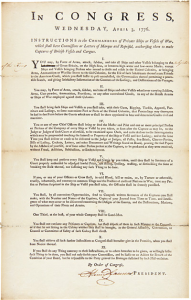 So, the Continental Congress gave privateers permission to attack any and all British ships. What is a privateer, you might ask? A privateer is a private person or ship that engages in maritime warfare under a commission of war. 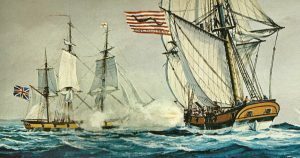 In a bill signed by John Hancock, president of the Continental Congress, and dated April 3, 1776, the Continental Congress issued, “INSTRUCTIONS to the COMMANDERS of Private Ships or vessels of War, which shall have Commissions of Letters of Marque and Reprisal, authorizing them to make Captures of British Vessels and Cargoes.” Letters of Marque and Reprisal were the official documents by which 18th century governments commissioned private commercial ships, known as privateers, to act on their behalf, attacking ships carrying the flags of enemy nations. 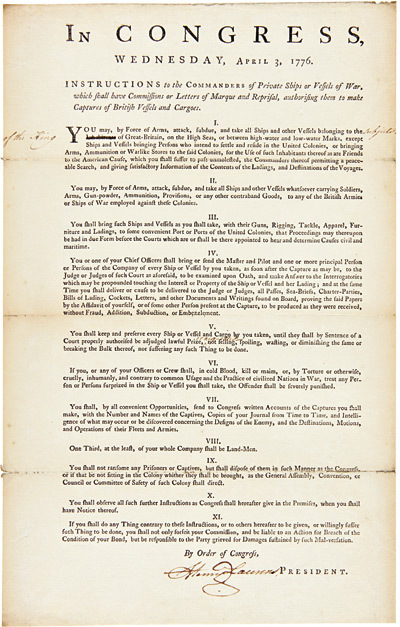 As a perk, any goods captured by the privateer were divided between the ship’s owner and the government that had issued the letter. Congress informed American privateers on this day that, “YOU may, by Force of Arms, attack, subdue, and take all Ships and other Vessels belonging to the Inhabitants of Great Britain, on the high seas, or between high-water and low-water Marks, except Ships and Vessels bringing Persons who intend to settle and reside in the United Colonies, or bringing Arms, Ammunition or Warlike Stores to the said Colonies, for the Use of such Inhabitants thereof as are Friends to the American Cause, which you shall suffer to pass unmolested, the Commanders thereof permitting a peaceable Search, and giving satisfactory Information of the Contents of the Ladings, and Destinations of the Voyages.” In many ways, this action was very similar to guerrilla warfare, except it was a battle fought on the high seas, and unlike guerrillas, these men were acting under the authority of the government…even if both were fighting for their nation. For those who faced them on the high seas, there was no difference between pirates and privateers. They acted and operated identically, boarding and capturing ships using force, if necessary. However, privateers holding Letters of Marque were not subject to prosecution by their home nation and, if captured, were treated as prisoners of war instead of criminals by foreign nations. I wonder if their were actually pirates among he privateers. To me, it would make sense to believe that their were, but perhaps the government would not authorize known pirates to do this work. Either way, the privateer commission was a very successful form of warfare in the Revolutionary War days. Over the course of our nation’s history, we have managed to keep most of our presidents safe. 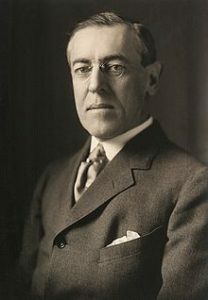 Out of 45 Presidents of the United States, 4 were assassinated, and 6 others were shot while in office, but survived their attacks. Ronald Regan was the last United States President to be shot while in office. Reagan did not immediately realize that he had been shot…something that came as a shock to many. He was rushed to the hospital, where he underwent emergency surgery to remove the bullet and to repair his lung. 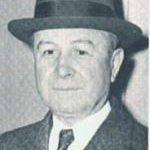 The president remained in good humor, and he reportedly told his wife Nancy, “Honey, I forgot to duck” (a line first attributed to the boxing heavyweight Jack Dempsey when he lost the title to Gene Tunney in 1926), and to his doctors he said, “Please tell me you’re Republicans.” He was a loyal Conservative all his life. John Hinckley, Jr. was a deranged individual with a crazed obsession for Jody Foster. 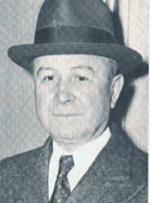 Hinckley’s path toward the assassination attempt began in 1976 when he saw the movie Taxi Driver. In the movie, Robert DeNiro’s character, Travis Bickle stalks a Presidential candidate in the hopes that he will somehow impress and rescue a young prostitute played by Jodie Foster. Hinckley, who spent seven years in college without earning a degree or making a friend, added Foster to his list of obsessions, which also included Nazis, the Beatles, and assassins. In May 1980, Hinckley wrote to Foster while she attended Yale University, traveled there and talked to her on the phone at least once. Soon after, he began following President Jimmy Carter. In October, he was arrested at airport near a Carter campaign stop for carrying guns. However, the Secret Service was not notified. Hinckley simply went to a pawnshop in Dallas and bought more guns. For the next several months, Hinckley’s plans changed daily. He pondered kidnapping Foster, considered killing Senator Edward Kennedy and began stalking newly elected President Reagan. Finally, he wrote a letter to Foster explaining that his attempt on Reagan’s life was for her. He kept abreast of the president’s schedule by reading the newspaper. On March 30, 1981, Hinckley decided that he had found the perfect opportunity, and it turns out that he was right. Normally the President wears a bullet proof vest when entering and exiting engagements, but as it was only 30 feet to the limo, it was deemed unnecessary. Bad idea. Reagan stepped outside the Hilton Hotel in Washington D.C. where he had just addressed the Building and Construction Workers Union of the AFL-CIO. Hinckley was armed with a .22 revolver with exploding bullets and was only ten feet away from Reagan when he began shooting. Fortunately, he was a poor shot and most of the bullets did not explode as they were supposed to. 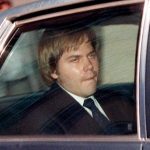 Hinckley’s first shot hit press secretary James Brady in the head, critically wounding him, and other shots wounded a police officer and a Secret Service agent. The final shot hit Reagan’s limo and then ricocheted into the President’s chest. Hinckley had completely missed Reagan, but “got lucky” when the bullet ricocheted. How he managed that is beyond the imagination, and not so “lucky” for President Reagan who, as he said, “Forgot to duck.” I also find it amazing that President Reagan could keep his sense of humor. It shows me what a man of grit he really was. 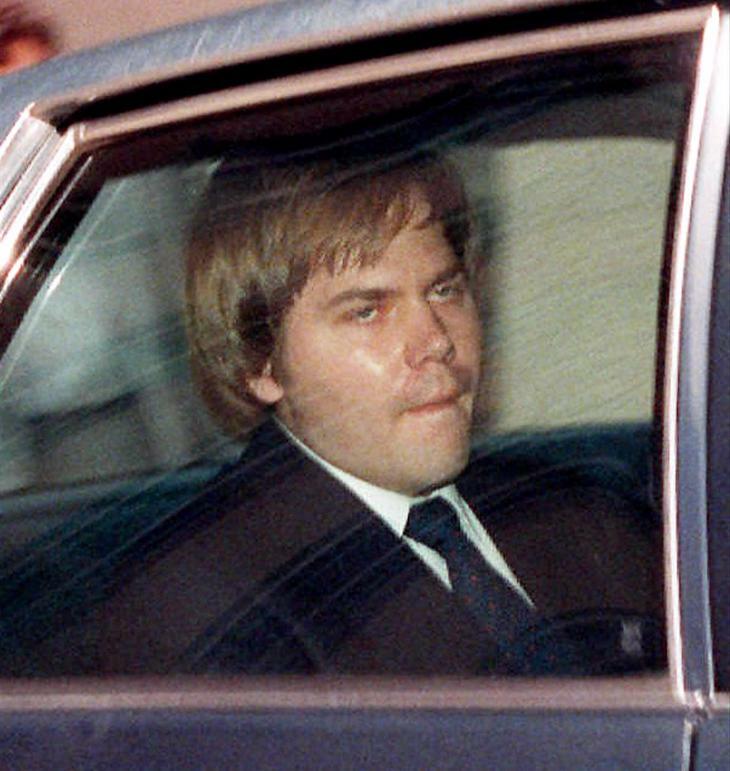 Hinckley was also wounded police officer Thomas Delahanty and Secret Service agent Timothy McCarthy. All of the shooting victims survived, although Brady’s 2014 death was later ruled a homicide 33 years after he was shot. Hinckley was later not found not guilty by reason of insanity. Hinckley was released from institutional psychiatric care on September 10, 2016, which I find astonishing. He currently lives with his mother. Seldom, if ever, do you see a minor political party that is able to obtain national support for their way of doing things, but that did happen in the 1920s. The Prohibition Party (PRO) is a political party in the United States best known for its historic opposition to the sale or consumption of alcoholic beverages. It is the oldest existing third party in the US. The party was an integral part of the temperance movement. I suppose it depends on which side you were on, as to how you feel about alcohol, but the reality is that they most likely didn’t have the support of the majority of the American citizens. 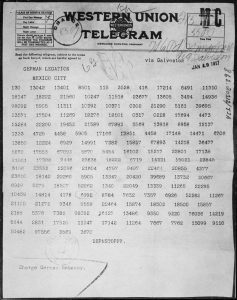 Nevertheless, on Saturday, January 7, 1920, the Manchester Guardian reported with a level of mild shock on one of the most extraordinary experiments in modern democratic history. 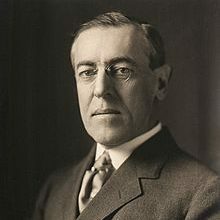 “One minute after midnight tonight,” the story began, “America will become an entirely arid desert as far as alcoholics are concerned, any drinkable containing more than half of 1 per cent alcohol being forbidden.” In fact, the Volstead Act, which prohibited the sale of “intoxicating liquors,” had come into operation at midnight the day before. But the authorities had granted drinkers one last day, one last session at the bar, before the iron shutters of Prohibition came down. I don’t really know how I feel about the comparison between the prohibition of alcohol, and the war on drugs (specifically Marijuana), but one thing can be said for sure. With the law that made these things illegal, came, by natural progression, the gangs or gangsters, who illegally made a way for those things to be obtained by the people. As to Prohibition, the 20s were filled with bootleggers, gangsters, and illegal purchases of alcohol…hence the Roaring Twenties. Across the United States, many bars and restaurants marked the demise of the demon drink by handing out free glasses of wine, brandy and whisky. 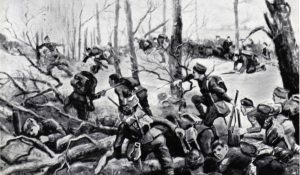 Others saw one last opportunity to make a killing, charging an eye-watering “20 to 30 dollars for a bottle of champagne, or a dollar to two dollars for a drink of whisky”. In some establishments, mournful dirges played while coffins were carried through the crowds of drinkers. In others, the walls were hung with black crepe. And in the most prestigious establishments, the Guardian noted, placards carried the ominous words: “Exit booze. Doors close on Saturday.” It was like an Irish wake for the deceased. The prohibition of alcohol lasted for almost 14 years, and with it came a violent era in out country’s history. 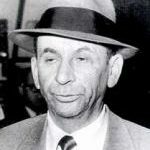 Gangsters like Al Capone, Bugsy Segal, Lucky Luciano, Meyer Lansky, Johnny Torrio, Arnold Rothstein, Bugs Moran, Enoch “Nucky” Johnson, and the mafia sprung into action…refusing to be railroaded. Prohibition’s largely Protestant champions, a large proportion of whom were high-minded, middle-class women. were the do-gooders of the day. Often deeply religious, they saw Prohibition as a kind of social reform, a crusade to clean up the American city and restore the founding virtues of the godly republic. 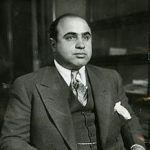 The gangsters, gangs, and the mafia saw it as a declaration of war, and acted accordingly. 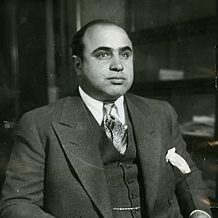 Stills were built, and bootleggers financed. 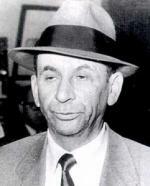 Before long violence broke out as the runners were caught and the gangsters lost their product. Nevertheless, for 14 long years, Prohibition persisted, until there was finally enough pull in Congress. The 21st Amendment to the United States Constitution is ratified on December 5, 1933, repealing the 18th Amendment and bringing an end to the era of national prohibition of alcohol in America. At 5:32pm EST, Utah became the 36th state to ratify the amendment, achieving the requisite three-fourths majority of states’ approval. Pennsylvania and Ohio had ratified it earlier in the day. When we think of our nation’s early wars, and really, up until the Persian Gulf War, soldiers were officially men only. Prior to the Persian Gulf War, any women who were in combat were disguised as men, or they were in non-combat roles, such as support staff and nurses. Few women were recognized for their service, much less honored for it, but on March 12, 1776, in Baltimore, Maryland, someone decided to change the way we looked at the effort made by women in wars. And when I say effort know that I include much sacrifice. That day, a public notice appeared in local papers recognizing the sacrifice of women to the cause of the revolution. 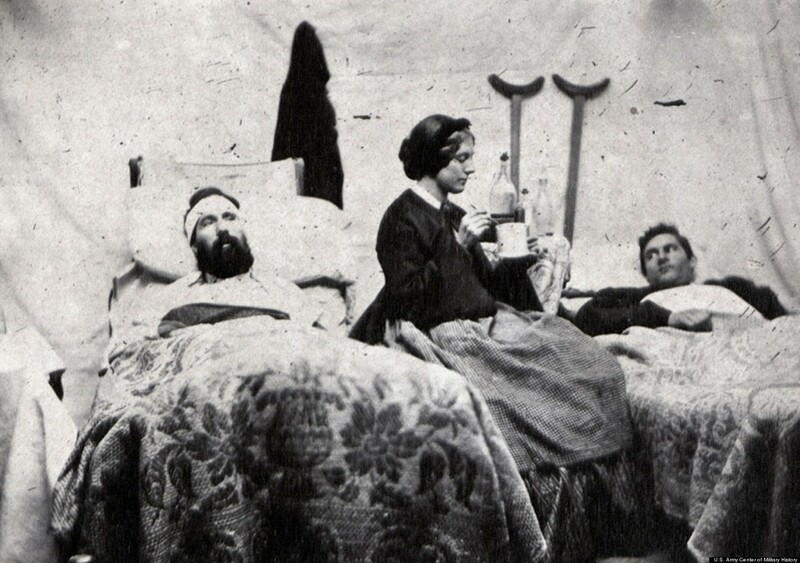 The notice urged others to recognize women’s contributions as well, and announced, “The necessity of taking all imaginable care of those who may happen to be wounded in the country’s cause, urges us to address our humane ladies, to lend us their kind assistance in furnishing us with linen rags and old sheeting, for bandages.” On and off the battlefield, women were known to support the revolutionary cause by providing nursing assistance. But donating bandages and sometimes applying them was only one form of aid provided by the women of the new United States. 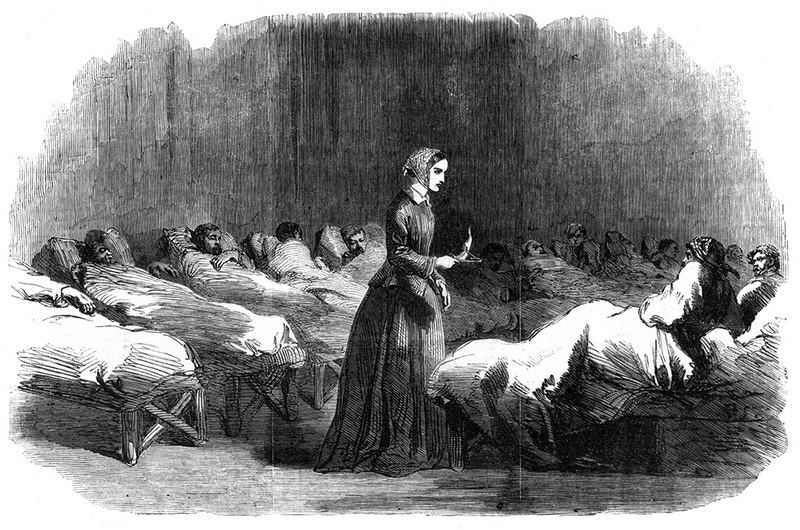 From the earliest protests against British taxation, women’s assent and labor was critical to the success of the cause. The boycotts that united the colonies against British taxation required female participation far more than male participation, in fact, the men designing the non-importation agreements chose to boycott products used mostly by women…how thoughtful of them!! Tea and cloth are perhaps the best examples of these boycotted products. While most schoolchildren have read of the men who dressed as Mohawk Indians and dumped large volumes of tea into Boston Harbor at the Boston Tea Party, as a form of opposition to the hated Tea Act, few realize that women…not men…drank most of the tea in colonial America. Samuel Adams and his friends may have dumped the tea in the harbor, but they were far more likely to drink rum than tea when they returned to their homes. Conveniently, their actions actually deprived their wives, mothers, sisters and daughters, and not themselves. The colonists only resorted to an attempted boycott of rum in 1774, after Britain had closed the port of Boston. I guess it was time for drastic measures. Similarly, when John Adams and other men in power thought it best to stop importing fine British fabrics with which to make their clothing during the protests of the late 1760s, it had little impact on their daily lives. Wearing homespun cloth may not have been as comfortable nor look as refined as their regular clothing, but it was Abigail and other colonial wives and homemakers, not John and his fellow men, who were forced to spend hours spinning clothes to create their families’ wardrobes. 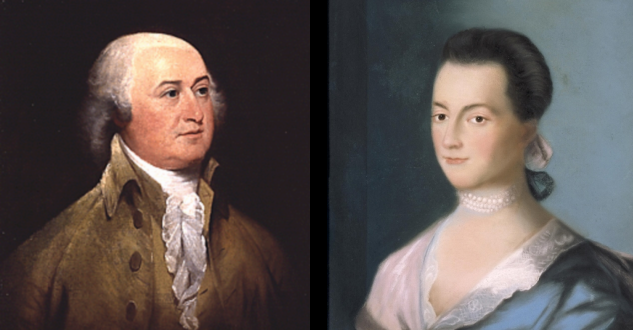 Thus, in 1776, when Abigail begged John to remember the ladies while drafting the U.S. Constitution, she was not begging a favor, but demanding payment of an enduring debt. And her husband, in good conscience could not deny her right, or her important request. Have you ever seen a picture of a Supreme Court session? Probably not. Photography is banned in Supreme Court, and there are only two known photographs of the Supreme Court in session. 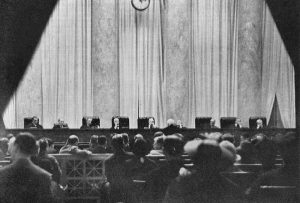 Cameras have long been banned inside the courtroom, so the only two photos were captured many decades ago by people who snuck cameras in. 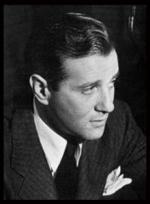 The first photo, shown above, was shot in 1932 by a German photographer named Erich Salomon. Salomon was hired by Fortune magazine to shoot images during a tour of America. The photographer decided to sneak a camera into the Supreme Court by faking that he had a broken arm so that he could hide his camera inside his sling. 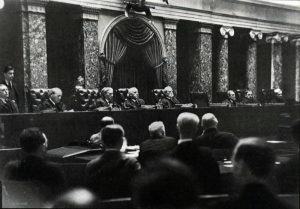 Salomon was able to snap a stealthy photo, which was later published in Fortune and touted as the first photo ever made showing the court in session. That as a pretty sneaky way to get a camera into the courtroom, and while I don’t know how security is at the Supreme Court these days, but it wouldn’t surprise me to see a guard looking inside a sling to see what someone was trying to bring inside. I can understand how a camera could be a problem, especially with old cameras. Many of them required a flash for indoor pictures, and having flashes going off all the time would be very distracting. Also, with today’s phones and cameras, videos could be taken easily, with sound that could let people outside the courtroom know about what was going inside the courtroom. 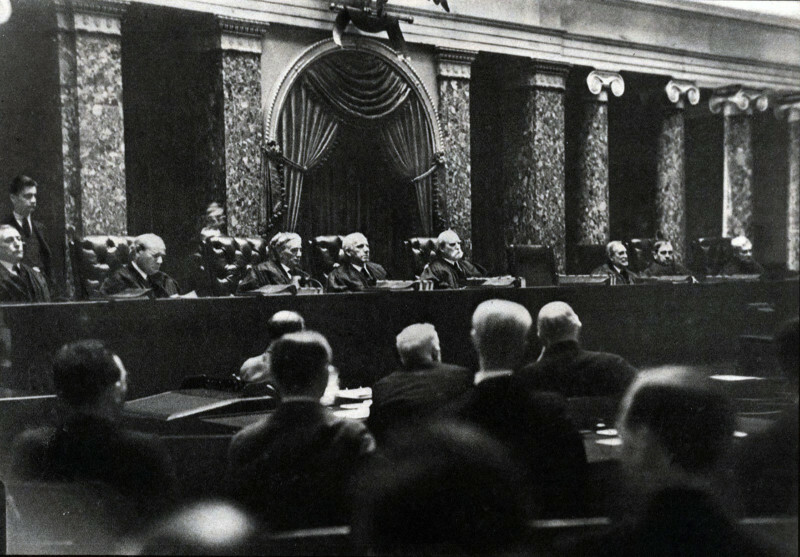 Nevertheless, five years later, in 1937, a young woman managed to take a second photo of the Supreme Court in session. This second photo was published in the June 7, 1937, edition of Time magazine, within an article titled Judiciary: Farewell Appearance. Time magazine wrote at the time, that the photo was taken by “an enterprising amateur, a young woman who concealed her small camera in her handbag, cutting a hole through which the lens peeped, resembling an ornament. She practiced shooting from the hip, without using the camera’s finder which was inside the purse.” The photographer was never named and remains a mystery to this day. The photo was also the first and only time all 9 justices of the court appeared in the same photo in session. 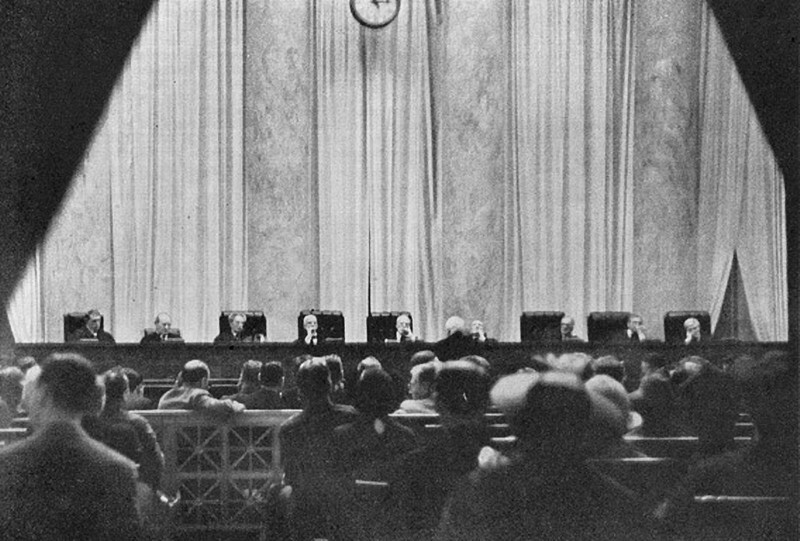 There are rumors of a third photo of the Supreme court in session that was taken and published around the same time, but there does not appear to be any surviving record of that image. Then, 77 years later, the inevitable happened. In 2014, an advocacy group snuck a camera into the Supreme Court and filmed the first-ever footage of the US Supreme Court in session. They captured a video that’s about 2-minutes long: The Supreme Court has officially banned cameras since 1946 when Federal Rule 53 was enacted. It reads: Except as otherwise provided by a statute or these rules, the court must not permit the taking of photographs in the courtroom during judicial proceedings or the broadcasting of judicial proceedings from the courtroom. While Supreme Court justices have long been opposed to cameras in the courtroom, believing that cameras adversely impact the dynamic of the proceedings, they have been softening their stance in recent years. A number of justices have warmed up to the idea of cameras in the courtroom, possibly paving the way for a rule change in the future. I don’t know if I think that is a good thing or not, but somehow it seems that when you tell people they can’t do something, they ultimately find a way. Religious beliefs have caused a number of issues in governments over the centuries, sometimes pitting family members against family members. They were, in fact, the main reason that the United States was founded…to get away from religious persecution. Such was also the case in the coup that was called Britain’s Bloodless Glorious Revolution. 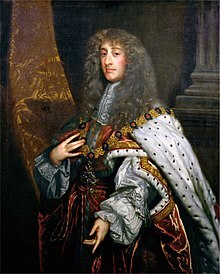 At the time, King James II was the king in Britain, and he was a Catholic. At first that didn’t seem like a huge problem, but King James’s policies of religious tolerance after 1685 began to meet with increasing opposition from members of leading political circles, who were troubled by the King’s Catholicism and his close ties with France. The crisis facing the King came to a head in 1688, with the birth of his son, James Francis Edward Stuart, on June 10. This changed the existing line of succession by displacing the heir presumptive, his daughter Mary, a Protestant and the wife of William of Orange, with young James Francis Edward as heir apparent, because at that time it was the first born “son” who inherited the throne. The establishment of a Roman Catholic dynasty in the kingdoms now seemed likely, and the people weren’t happy about it. Some Tory (conservative) members of parliament worked with members of the opposition Whigs in an attempt to resolve the crisis by secretly initiating dialogue with William of Orange to come to England…outside the jurisdiction of the English Parliament. 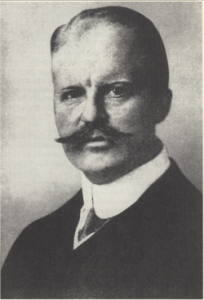 Stadtholder William, the de facto head of state of the Dutch United Provinces, feared a Catholic Anglo–French alliance and had already been planning a military intervention in England, so he was very much open to the plan. After consolidating political and financial support, William crossed the North Sea and English Channel with a large invasion fleet in November 1688, landing at Torbay in Devonshire with an army of 15,000 men, William advanced to London, meeting no opposition from James’ army, which had deserted the king. After only two minor clashes between the two opposing armies in England, and anti-Catholic riots in several towns, King James’s regime collapsed, largely because of a lack of resolve shown by the king. Following Britain’s Bloodless Glorious Revolution, Mary, the daughter of the deposed king, and William of Orange, her husband, are proclaimed joint sovereigns of Great Britain under Britain’s new Bill of Rights. At first I thought that odd, because by rights she would have been in the royal line, but I suppose you would have to honor the warrior who made it all possible. 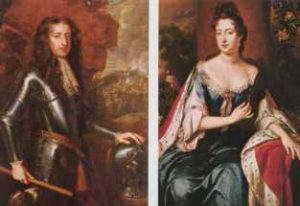 King James was allowed to escape to France, and in February 1689 Parliament offered the crown jointly to William and Mary, provided they accept the Bill of Rights. The Bill of Rights, which greatly limited royal power and broadened constitutional law, granted Parliament control of finances and the army and prescribed the future line of royal succession, declaring that no Roman Catholic would ever be sovereign of England. The document also stated that Englishmen possessed certain inviolable civil and political rights, a political concept that was a major influence in the composition of the United States Bill of Rights, composed almost exactly a century later. The Glorious Revolution, the ascension of William and Mary, and the acceptance of the Bill of Rights were decisive victories for Parliament in its long struggle against the crown. 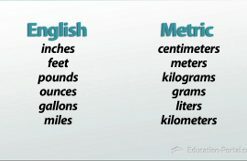 The metric system…in many ways, a source of contention between the American government, or whoever it is who keeps trying to push it on the American public, and the American public in general. Sure, it’s mixed in with our way of life, but somehow, it’s not something that most of us really understand very well. It’s like a strange foreign language, that no one wanted to learn in the first place…but somebody told us that it was important, better, more efficient…or some other such nonsense. 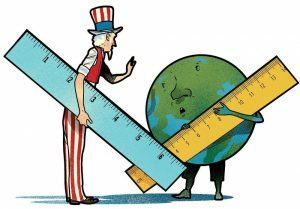 It’s perfectly acceptable to use the metric system in the United States…in fact, Congress originally authorized its use in 1866 and has repeatedly tried to make it accepted in the years since, but the American public has continued to reject it. Although the government now requires metric use in some public sectors and strongly encourages it in many private industries, but the American public never really took to the system and largely dismissed it, making the United States the only industrialized nation where that’s the case. These days the medical field exclusively uses it in their jobs, but when a nurse takes your temperature and tells you that it is 38° C, and you ask her how much that is in “English,” most of them have no idea that it is 101° F. Yes, they know that you are running a fever, but seriously, when you are running a fever, do you want to have to get out your nearest conversion table to figure out how high it is. Most of us know that normal is 98.6° F, but when you don’t feel good, the last thing you want to do is math. 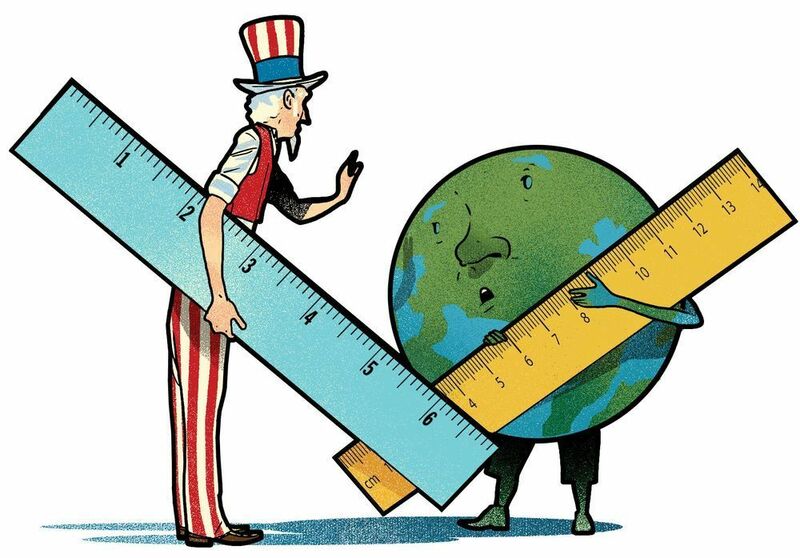 I don’t know who came up with inches and centimeters, or Celsius and Fahrenheit battle, but up until 1866, the United States knew what their measurements meant. We didn’t have to try to sit down and figure it all out. Why should we have to now? In American, it just doesn’t measure up. So, in the next act of “pushiness,” Congress even passed a Metric Conversion Act of 1975 and set up a U.S. 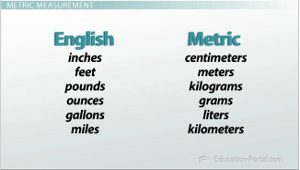 Metric Board to take care of all the planning for the desired transition, but they apparently didn’t empower the board with enough authority, and the American people essentially said, “no” to adopting metric system, and continued on with their miles, pounds, ounces and all the rest. Similarly lackluster efforts since then have done little to get Americans to change their minds. We are a stubborn people, and we don’t really like it when someone tells us that, what we have always known as white, is now black. That simply makes no sense, and just because Congress tells us that it does, doesn’t mean that it is so. I don’t suppose that the failed metric conversion will be the last thing that Congress tries to push on us, that will end up in the junk heap…do you? 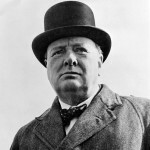 As a young battalion commander, Winston Churchill had a lot to learn about the facts of war. He was destined for greatness, and if he was to realize his destiny, he would have to learn many things. On January 17, 1916, he was battalion commander on the Western Front, when he attended a lecture on the Battle of Loos given by his friend, Colonel Tom Holland, in the Belgian town of Hazebrouck. It would be one of the first lessons, but the resulting knowledge might not be what we all would think. It was not about strategy or brave heroics, but rather of hopelessness. 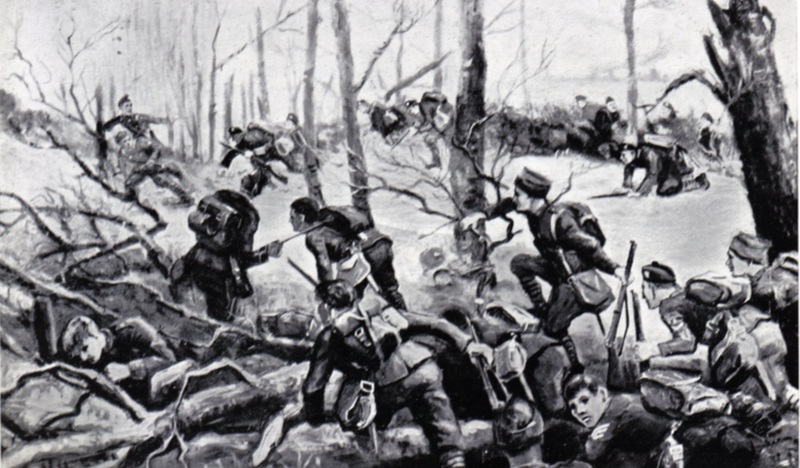 The Battle of Loos, which took place in September 1915, resulted in devastating casualties for the Allies and was taken by the British as a sign of the need to change their conduct of the war. In one major consequence, Sir John French was replaced by Sir Douglas Haig as British commander in the wake of that battle. “Tom spoke very well,” Churchill wrote to his wife, Clementine, “but his tale was one of hopeless failure, of sublime heroism utterly wasted and of splendid Scottish soldiers shorn away in vain with never the ghost of a chance of success. Afterwards they asked me what was the lesson of the lecture. I restrained an impulse to reply ‘Don’t do it again.’ But they will–I have no doubt.” What Churchill took away from the lecture was that in war, there is no winner…not really. There are losses on both sides, sometimes almost equal in number, so that the victory goes to the one who holds out the longest. Defeat comes in surrender. Churchill had been demoted from First Lord of the Admiralty after the British plan to attempt a naval capture of the Turkish-controlled Dardanelle Straits met with resounding failure in mid-to-late 1915. Reduced to a minor ministerial position, Churchill resigned from the government in November 1915 and rejoined the army, heading to the Western Front with the rank of lieutenant colonel. 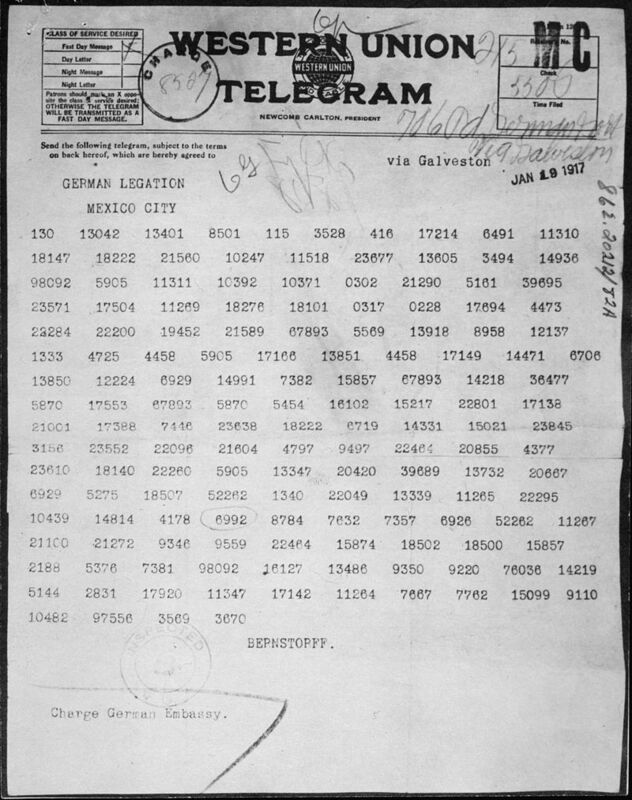 During his six months in Belgium, Churchill…who would later lead his country to victory in the World War II and be celebrated as the greatest political leader in British history, saw first-hand the hardships of war and the sacrifices that unknown, unheralded soldiers made for their country. More than once, he himself narrowly escaped death by an enemy shell. As he wrote to Clementine, “Twenty yards more to the left and no more tangles to unravel, no more anxieties to face, no more hatreds and injustices to encountera good ending to a chequered life, a final gift–unvalued–to an ungrateful country.” I find it amazing that a man so capable of “winning” a war, would count it as lost. I grew up in Casper, Wyoming in the 70’s. There wasn’t a whole lot for the teen crowd to do, so we all rode “The Strip.” The Strip included all of CY Avenue and part of Center Street and 2nd Street. Most if the kids who had access to a car or knew someone who did, were out on the Strip every Friday and Saturday night. People would show off their “ride,” if they had a cool one, and meet up with their friends. 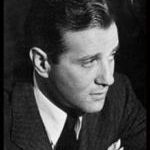 My husband, Bob Schulenberg and I had lots of good friends we hooked up with on the Strip. 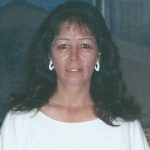 One of our good friends was Lana Alldredge. Lana had one of those “rides” that was one to show off…a 1970 Mustang Mach 1…Canary Yellow with black stripes. She was so proud of that car. Every night before heading out to ride the Strip, Lana took her car to the carwash for a bath, because she couldn’t stand the thought of her car being dirty when people saw it. Now Lana was out of high school, and so rode the Strip every night, while my parents wouldn’t let me go out on school nights. 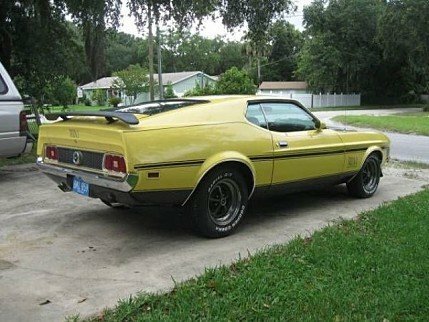 Nevertheless, lots of kids could go out every night, so her car was one that was well known, and had the reputation of always being clean, shiny, and tricked out. If you rode the Strip, you knew Lana’s car. I read somewhere that in Minnetonka, Minnesota, there is a law, currently on the books that would work well for Lana, but not so much for most people. According to section 845.110 of Minnetonka, Minnesota’s city laws, there are several situations that are deemed a “public nuisance”, including but certainly not limited to ” a truck or other vehicle whose wheels or tires deposit mud, dirt, sticky substances, litter or other material on any street or highway“. Now, if you ask me, that is extreme. The only way to never have dirty tires is pretty much to bathe your vehicle constantly. While someone like Lana would be ok with that in her Mach 1 years, most people can’t see the point in a daily car bath, just so they didn’t get dirt on the street…in fact, the law is simply, outrageously insane, if you ask me. I agree with city beautification, and I can see not wanting the citizens throw shovel loads of dirt or mud onto the city streets, but lets face it…the wind probably deposits more, dirt and litter that the car tires do. Dirty tires, seem more like a relatively unavoidable consequence, rather than considering it a public nuisance, which is defined as something that disturbs peace, safety, and/or general welfare. 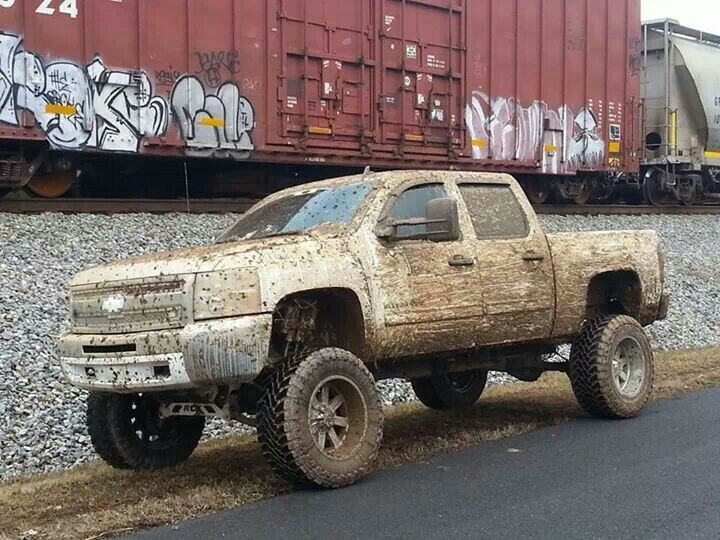 Dirty tires are a little bit of a stretch here. On the other hand, there really aren’t many things that are less appealing than a dirty truck, especially when it has dirty tires, so maybe this law was founded on some good principles. Still, if this is a law that is still enforced, I don’t think I would want to live in Minnetonka, Minnesota.